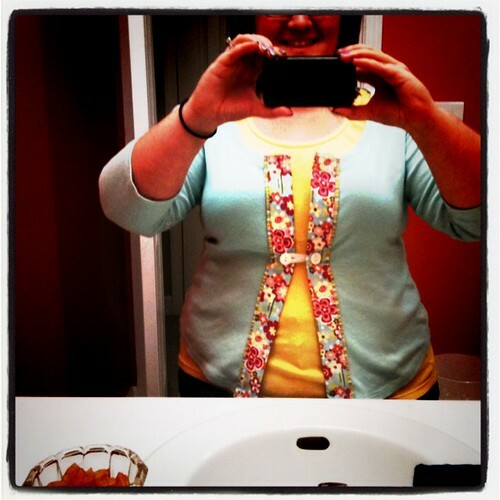 DIY Cardigan from an Old Shirt | Love People. Like Things. a blog about all the people i love, and all the things i like. 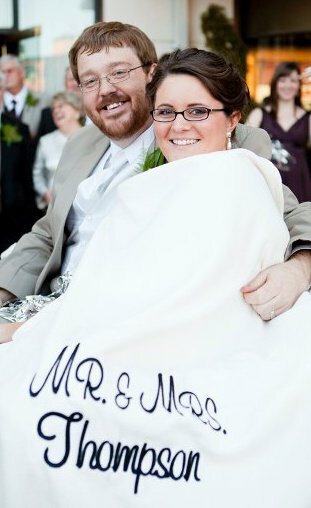 A few days ago, I was hanging out on Pinterest.com and found the cutest DIY cardigan project. Seriously guys, if you don’t have a Pinterest account by now, you’re behind the times. Jump on the wagon. Now. Mean it. I’d say you’ll thank me later, but you won’t because you’ll be spending all your time drooling over all the great ideas you find. Take two seconds and hop over there to request an invitation. I’ll be waiting when you get back. 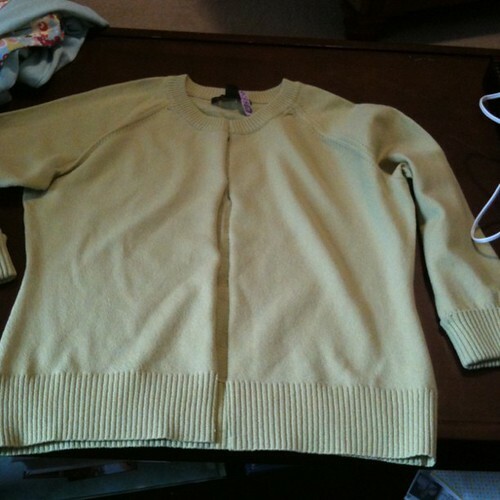 The original link to the cardigan project I found is here. How cute is that white cardigan with the flowers and blue trim!! The tutorial she wrote for this project is great and I used it exactly. Maybe for future projects I might try to be brave and make a few changes. But probably not- it worked great! I scrounged around in my closet looking for an old shirt I wouldn’t mind throwing away in case I royally screwed up. No luck. I just couldn’t part with my three-quarter or long sleeved shirts. So I stopped by Goodwill while running some other errands and raided the $1 clearance section. For $4, I came home with four future cardigans! I have a ton of remnant fabric in a drawer at home, so I didn’t bother stopping to get coordinating fabric. First, I cut the shirt straight up the middle in the front. Measure the line you just cut. Use that measurement plus 1″ for the long ends of your matching trim fabric. 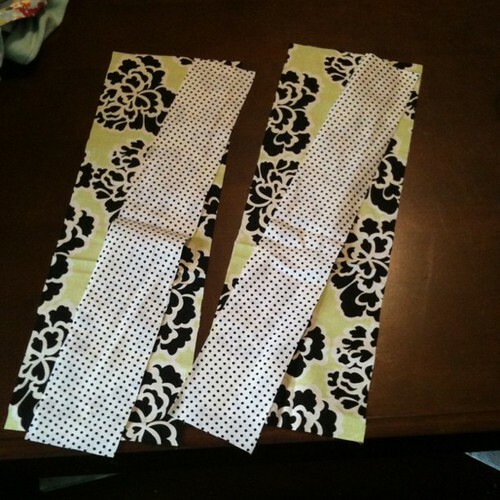 In coordinating fabric #1, cut two strips the length (+1″) by 3″. 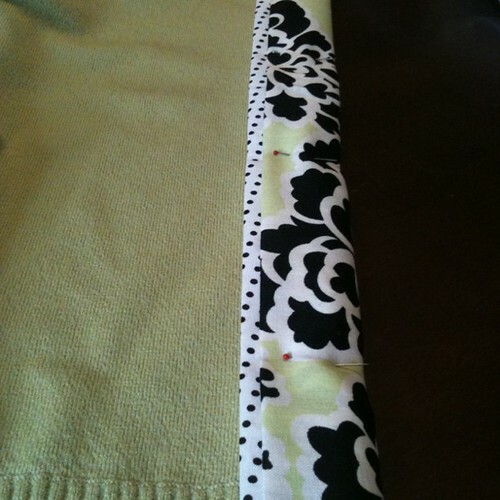 In coordinating fabric #2, cut two strips the length (+1″) by 6″. Press the short ends of all four strips under 1/2″. 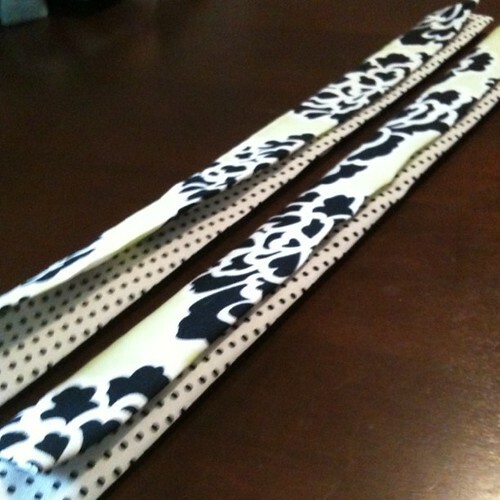 For the 3″ pieces, fold in half and press (with the fold going down the length of the strips). For the 6″ pieces, fold the raw edges in to the center, then fold in half down the length of the strips. Put the raw edges of the 3″ strip between the fold of the 6″ strip and pin onto the freshly cut line of the shirt. Repeat for the other side. Now just top stitch the trim on! I did a top stitch on both edges of the trim so that it wouldn’t get all wonky when it’s in the wash. 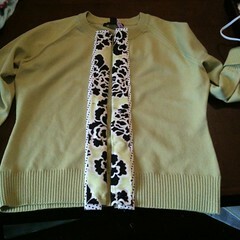 I also added a button on both sides, with an elastic loop on the back of one side. Lovey says it makes it look ‘asian’ so I might try something different next time. A ribbon creating an empire waist line would be nice too. You’ll notice the step by step pictures are of the green cardigan, but my finished product is the light blue one. The green on ended up being a size too small, so it’s up for grabs if you want it! My new light blue cardigan made its first appearance at church today and I got lots of comments! I’m always nervous about wearing handmade clothes out in public, so maybe that was the encouragement I needed to do it more often! Anyone with me on being nervous about that? I really like where you placed the button and the button itself. It creates a waistline there, where the empire waist would be anyways (the blue cardigan). Also, handmade clothes are definitely the way to go. I’m looking into learning how to tailor my own clothes, and consequently make my own clothes (maybe one day).